I'm so very excited for the release of the final book in the Charley Davidson series. I have loved this series from the very beginning and while it is bittersweet to say goodbye to these amazing characters, I have been so very anxious to see how it would all come together. 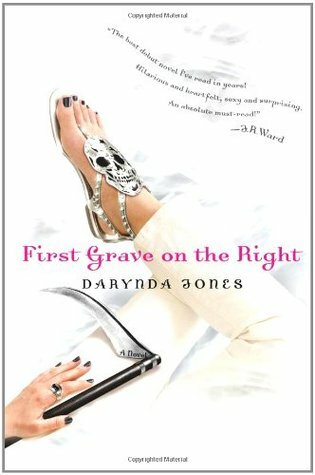 But first, I am reposting my review of the first book in the series, First Grave on the Right, because after all, this is where is all began. 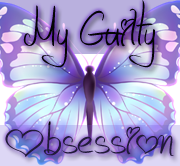 And not only do I have that but a Q&A from Darynda and an amazing giveaway too so stick around and check it all out! This is one of those series that you need to make sure you have nothing else going on that day before starting because you certainly aren't going to get anything else done after you have started. This book will consume all of your time, all of your thoughts and the characters will stay with you and refuse to leave. Charley is such a great character. You haven't met true sarcasm until you have met Charley Davidson. I can't remember the last time I laughed out loud so many times while reading a book, which by the way, elicited lots of strange looks from my family members, but I couldn't help it, there were so many funny one liners and even when Charley was talking and thinking to herself, she was hilarious, in fact, most of her inner dialogue was probably some of the funniest moments in the book. And can we just talk about Reyes for a moment? Actually lets not, I might get distracted again and never finish this review. Lets just say he is definitely swoon worthy in all his devilish good looks and ways. This is a must read series. I can't rave about it enough and it really is just something you have to read and experience for yourself! How did you come up with Charley? So, I’m lying in bed one morning, waiting for my turn in the shower, when Charley popped into my head in all her glory. I loved her from the get-go. I will add that I was looking for her. I had just typed The End on my second complete manuscript, a YA titled Death and the Girl Next Door which later sold to my amazing editor along with the Charley books. So, I was craving another project. I knew I wanted it to be adult and paranormal. That was all I had. And then Charley walked in. What has it been like planning and writing this series, and how does it feel to be wrapping it up? I had no clue! I dreamed, of course. We all do that. But for that dream to become a reality…it’s quite surreal. I have the best job in the world. Planning and writing the last two books have been bittersweet. I love writing these books so much, so the fact that it’s coming to an end is a little heartbreaking, but I want to go out with a bang. Like a HUGE one. I hope everyone loves reading them as much as I’ve loved writing them. Are there any side characters or plots you wish you would have developed more? Actually, yes. In Fifth Grave Past the Light, I brought in a character named Nicolette Lemay, gave her an insanely cool gift, then never brought her back in again. We see her briefly in Twelfth Grave, but I wish I’d done more with her. Can you give us a sneak peek into how it all ends? What do you hope readers feel as they reach the last page? I am very hopeful that readers will feel a sense of happiness, closure and (dare I dream?) euphoria. All I can say is that this book is truly darkest before the dawn. Charley and Reyes have accidentally opened a hell dimension within our own, and they have to figure out how to close it before it takes over the world. But it’s expanding exponentially, and soon there will be nothing left of the world as we know it. But with a little help from Charley's departed mother, one clue leads Charley in the right direction and, hopefully, to the secret to stopping the hell dimension and save all of humanity. Sadly, she only has three days to do it. What's the next project you're working on? Right now I am working on a brand new series, a trilogy set in a small town in New Mexico with a sheriff named Sunshine, a missing girl named Olivia, and a murder suspect named Levi. Too bad she is in way over her head, especially since the missing girl is her daughter's best friend and Sunshine has been in love with Levi since she could breathe. 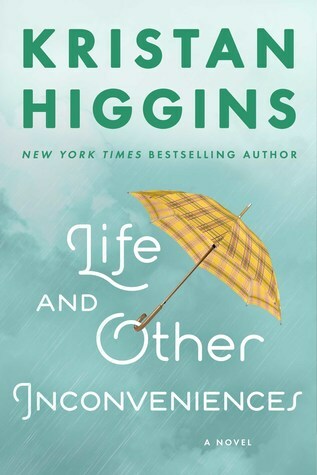 And let's not forget the last book in the series releases this coming January. You guys, it was so good! I'm so excited for everyone to read it, you are going to love it! Don't forget to check out the giveaway below for your chance to win an ARC! It is so very hard to review perfection isn't it? I mean where do you even begin, and let's face it, this series has been pretty much that, from the very beginning. And while this has been such a bittersweet experience, it has also been one I won't soon forget. I adore these characters and while they aren't my babies like they are Ms. Jones, they are still, well, family to me. I love them, I care for them, and I will miss them like crazy. Reading this book has not only pushed me past my emotional limits but has tested them as well. So many feels. It started with simply both wanting to devour and savor the experience of it. Heartbreak at knowing this was it for Charley and Reyes and all these amazing characters and yet, also knowing that I had to get through it, because I couldn't wait to see what happened. Couldn't wait to be immersed back into their world. So with a heart both beating fast to know what would happen and slowly breaking at realizing this was it, I soldiered on and dove straight in, head (and heart) first. And oh what an experience! I relished it, I devoured it. I soaked it up and in and...it was amazing. Everything I was use to, everything I never thought it could be and everything I knew it could. The classic Charley humor, the love, the cases, the discoveries, the revelations. The loses, the bemoaning. Just so very much. I loved it and the ending, while perfect, also left me wanting more. That spin-off series, oh man, it better get here soon. All in all, that word again, perfection. Well done Ms. Jones, well done. I'm so glad this series ended such a high note for you! It's always nerve-wracking reading an ending, and I'm sure you're feeling a little sad too! But yay for a spin-off series! It is so nice when it ends well even if it is bittersweet and I'm definitely crossing my fingers there will be a spin-off! I haven't had a chance to read the rest of the series, but I'm now looking forward to it. This book sounds fantastic. I really hope you love it as well! Of course! It really is one of my favorites and it really is hard to say good bye to it. I haven't read this series but it sounds good. Now I want those sandals that are on that cover. LOL. Definitely pick it up, I think you would really like it too. I love this series and am looking forward to Summoned to Thirteenth Grave! You have! ;) Totally read it. Looks great! Definitely adding to the ever-growing TBR pile! I'm glad this series ended on a great note for you. That's always nice when a beloved series gets a good send off, even though it's hard to say goodbye to favorite characters. Bring on the spinoff series!!! I can't agree enough with all you said Greg, so true! I have such mad move for the series and can remember taking the day off when I worked outside the home on release day! I could have totally saw myself doing that too Kim! looooove this series!!! I'm so sad for the end, but I can't wait!! Congrats to Ms. Jones on her wonderful series and can't wait to see what she comes up with in the future! I'm excited for what she comes out with next as well and I know you are going to love how this all came together I think. Some of them were 4.5 but yeah, for the most part they were all fabulous! 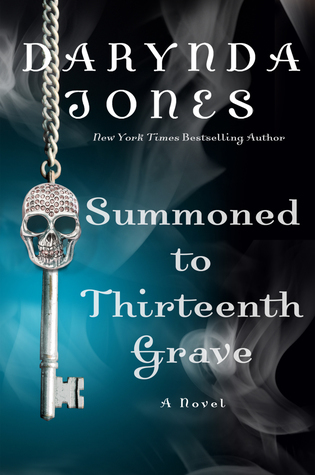 I did a happy dance when I was approved for the ARC of 13th grave. I am very excited and scared for the rollercoaster. I didn't know there is going to be a spin-off series but I'm here for it even though I have no clue who would be the star. I have to thank the Don't Fear the Reaper readathon for introducing this series to me! I would imagine it would be with Beep and Osh and her army but, I could be wrong. Snarky/sarcastic characters can be so darn fun. I still need to do these. Love this series!! The authors sense of humor is hilarous. She really is and it's like that in all her books! Ive been binging this series all week and i love it! So glad you are loving it, it really is so much fun! Thank you for the interview too. I love this series and hate to see it end but am now looking forward to the new trilogy :). It ended so well and yes, I'm really hoping with the ending and rumors going around, that there will be a spin off series to follow this one.